Availability changes on a daily basis. In order to make sure that the space that you want is available when you need it, we recommend that you make an advance reservation. You may carry your own insurance (check your homeowner’s or renter’s policy to see if you are already covered) or apply for insurance coverage from a company that specializes in self-storage insurance. Insurance is the tenant’s responsibility. We provide a lock and two keys. You are the only one with access to your unit. Can I have my unit rent automatically charged to my credit card each month? You will need to visit the facility to lease your unit and make the initial payment. 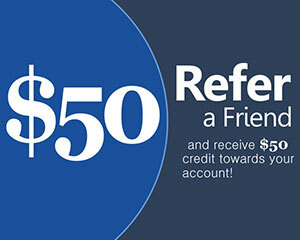 After that, we can set up your account to automatically charge your credit card each month. We accept cash, Visa, MasterCard as well as Discover and American Express. What is the minimum time that I can store for? The minimum rental period is 1 month. What kind of documentation do I need to rent? A valid driver’s license or federal ID with picture is required to lease a unit. Do you have your own movers? While we do not offer moving services we do provide free use of our truck at move-in. Additionally there are a variety of movers available in our area. Check the yellow pages under the heading “movers” for a complete list. How long will it take to complete my rental? The entire move-in process should take less than 15 minutes. Please keep in mind that this time could vary depending on whether there are other customers ahead of you when you arrive. Mornings are usually the slowest period of the day while afternoons are busier. Our office is open M-F 9am – 5:30pm, Saturday 9am – 4pm, Office closed Sunday. Access to your storage unit is 24 hours, 7 days a week. Copyright ® 2013 Hamilton Self Storage. All rights reserved.